Rachel Weeks is a Los Angeles-based comedian and writer from the western suburbs of Chicago. True to her Canadian-Midwestern parentage, Rachel is approachable and sweet with a chewy, judgy center. In 2018, Rachel was named The Best Undiscovered Comedian from Colorado by Thrillist. 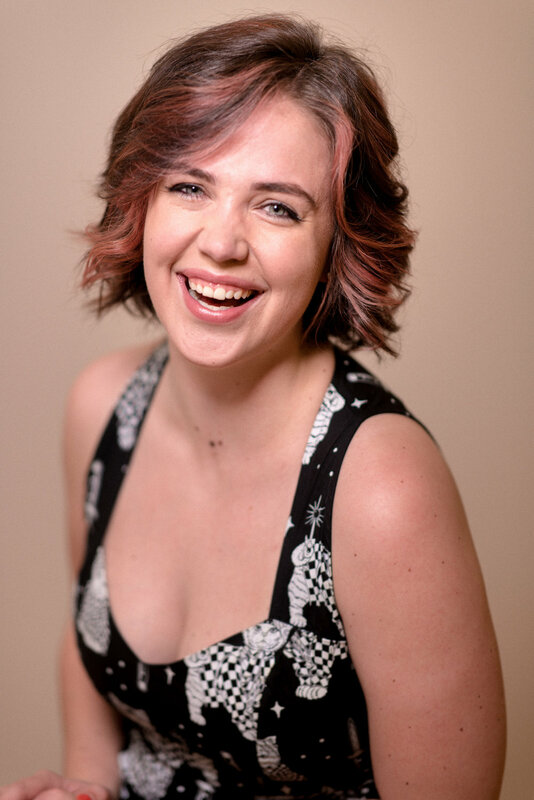 She is a regular performer at Denver’s famous Comedy Works and has appeared on NBC’s "First Look," Seeso’s "Hidden America with Jonah Ray," and the "RISK!" podcast. She produces the Los Angeles chapter of Chicago storytelling favorite We Still Like You and has been featured on High Plains, 208, and Limestone comedy festivals. Both delightfully relatable and sharply critical, Rachel’s jokes cut deep into what it means to be a woman in 2019.